Happy New Year from Smarty Pants from Chicago Illinois! Happy New Year from Smarty Pants to everyone in Chicago, Illinois and everywhere else! Winter Break Activity for Kids and Families in Chicago! 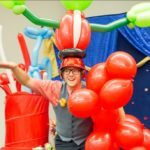 What to do with Kids in Chicago this weekend! 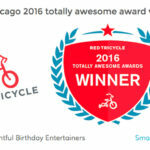 Smarty Pants named Best Birthday Party Entertainer in Chicago by Red Tricycle! 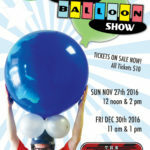 See the Big Balloon Show at the Chicago Kids Fringe Festival this September! 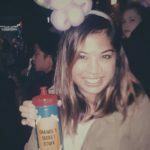 What to do with kids in Chicago on Saturday April 16th 2016 ! Smarty Pants St Patrick’s Day Balloon Surprise! Smarty Pants and Miss Dena recently returned to the Winnetka Community House for our annual Presidents Day presentation of our Big Balloon Show. The Winnetka Current newspaper covered the show and got some great photos of the performance!